HAVE YOU EVER FILED FOR PROTECTION UNDER THE U.S. BANKRUPTCY CODE? I WILL PAY FOR ALL MATERIALS SOLD AND SERVICES PERFORMED WITHIN 30 DAYS OF THE DATE OF INVOICE. I FURTHER AGREE TO ADVISE AUBURN CONCRETE WHEN MAKING PAYMENTS FOR GOODS AND SERVICES RENDERED AS TO WHICH INVOICES MY PAYMENT IS TO BE APPLIED. IF I DO NOT PROVIDE REMITTANCE ADVICE, AUBURN CONCRETE WILL APPLY PAYMENT TO THE OLDEST OUTSTANDING INVOICES FIRST. IF I DO NOT PAY FOR ALL GOODS, MATERIALS, SUPPLIES AND SERVICES RENDERED WITHIN 30 DAYS OF INVOICE DATE, THEN I WILL PAY, IN ADDITION TO THE AMOUNT BILLED, A FINANCE CHARGE EQUAL TO 1.5% PER MONTH FOR AN ANNUAL PERCENTAGE RATE OF 18%. I ALSO AGREE THAT MY ACCOUNT WILL NOT BE CONSIDERED PAID IN FULL UNTIL ALL INVOICES AND FINANCE CHARGES ARE PAID. IF I DO NOT PAY WITH THE CREDIT TERMS GRANTED, AUBURN CONCRETE MAY IMMEDIATELY SUSPEND MY RIGHTS TO CREDIT AND CEASE SHIPMENT OF GOODS TO ME AND/OR REQUIRE C.O.D. PAYMENTS ON MY ACCOUNT. I AGREE TO ALSO PAY ALL COSTS AND EXPENSES OF COLLECTION, INCLUDING REASONABLE ATTORNEY’S FEES, INCURRED BY AUBURN CONCRETE IN COLLECTING THIS DELINQUENT ACCOUNT. THE UNDERSIGNED UNDERSTANDS AND AGREES TO TERMS OF THIS CREDIT CONTRACT . SIGNATURE BELOW SHALL AUTHORIZE AUBURN CONCRETE TO INVESTIGATE MY/OUR CREDIT AND SHALL CONSTITUTE PERMISSION FOR AUBURN CONCRETE TO OBTAIN RELEASE OF MY/OUR CREDIT HISTORY AND RELATED INFORMATION. 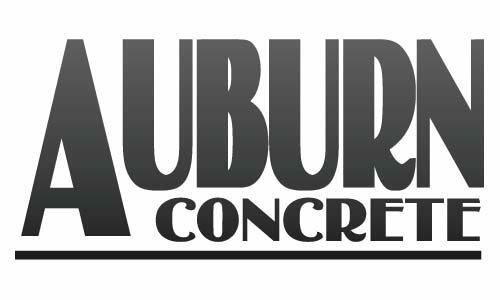 IN CONSIDERATION OF AND IN EXCHANGE FOR THE GRANTING AND EXTENSION OF CREDIT BY AUBURN CONCRETE DO HEREBY PERSONALLY GUARANTY AND PROMISE TO PAY TO AUBURN CONCRETE ANY INDEBTEDNESS OF THE ABOVE NAMED COMPANY (Debtor) WHICH HAS OR MAY BECOME DUE AND OWING TO AUBURN CONCRETE.